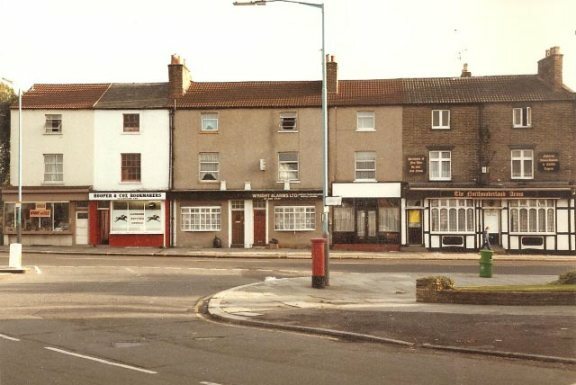 Arthur Peters has provided this photo which he took around 1975 from what is now Commerce Road, showing numbers 1 - 13 London Road, Brentford End. This is immediately to the west of Brentford Bridge. The Northumberland Arms pub is at numbers 11 and 13, see a view taken by Dave Stoneleigh, 2008 showing the pub (now O'Briens) is the sole surviving building.